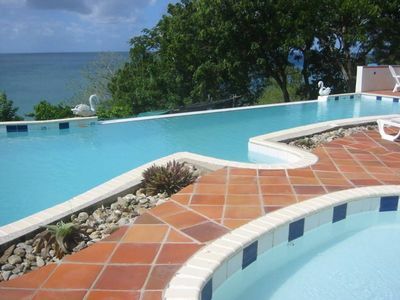 Beautiful Villas near Rodney Bay! There are a total of ( 4 ) two bedroom villas on the property. 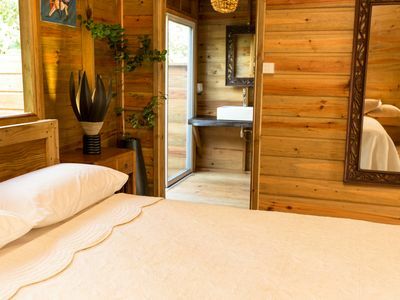 Each villa is tastefully decorated with two bedrooms each having an en-suite bathroom. 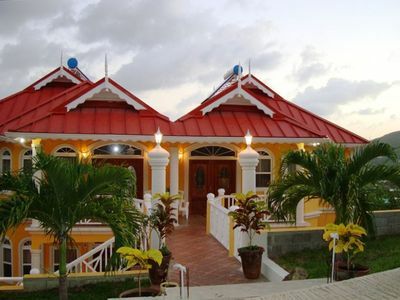 The warm brightly Caribbean coloured painted villas are representative of the rich Caribbean culture. All villas have the same design although each has slightly different décor. As you approach the villas you are welcomed with beautifully manicured grounds, the villa is nestled among the beautiful palm trees and a range of greenery. Once you enter the villas, you are immediately in the main living area which benefits from an open concept living, dinning, and kitchen areas which have modern cheerful furniture and appliances. Continuing to the back of the villas you will find the bedrooms and en - suite bathrooms. Through the sliding doors in the bedrooms you are immediately in the large balcony perfectly placed for one to watch the sunset on an evening. 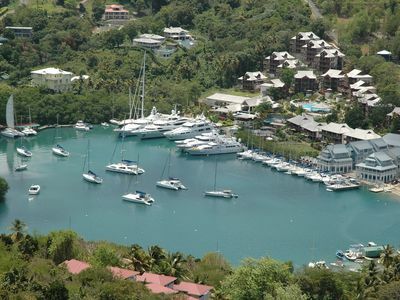 From the upper balconies you have a spectacular view of the ocean, Rodney Bay Marina, and pigeon island. 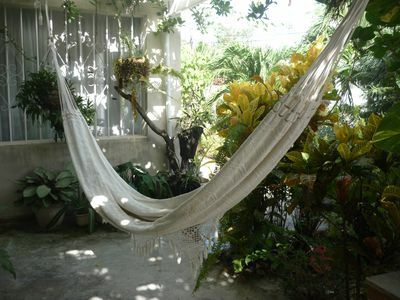 For rentals over 7 days, the villa will be cleaned once per week, just to freshen up the linen. 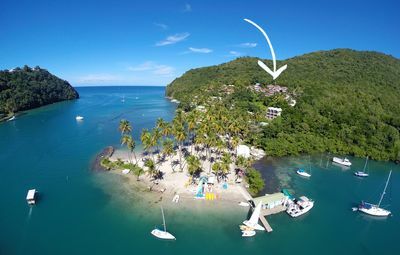 If you will be flying into the Hewanorra International Airport in St. Lucia, the airport is about an hour and a half drive to Rodney Bay Village and the surrounding areas. We can assist you with booking your airport transfers. We are very honest when we say that the drive from the airport to the villa is not the easiest one. One of the things which makes this beautiful island stand out from the others, is the ability to see a breathtaking view from so many different inclines. Due our hilly terrain, we have may cliffs, peaks, and sharp corners, which if you are not familiar with, can be a bit hair raising. in the beginning. One of our biggest nemesis on the island is the fact that we do not have street names or numbers. You really need to know where you are going to in order to find it. It is a bit challenging to give directions to the villa from the airport when the roads are not signed. 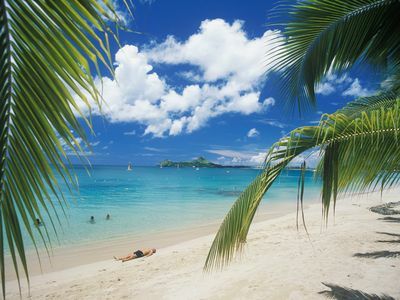 We care about your safety and ask that you wait to explore the island at least after you have had a full nights rest. Don’t try to do it as soon as you land here. You have been on the go for hours prior to arriving, may have not slept at all the night before preparing for your travels. Depending on where you are coming from, you may have been traveling for 12 hours or more, you are exhausted by the time you arrive here. To avoid any incidents, we suggest that you take the option of having us organize your transfer for you. When you get to the villa, and you have rested, with fresh eyes in the morning, you can begin the adventure! Finally, we are here to see to it that you have a fantastic holiday. We can pre stock your kitchen cupboards ahead so when you get here you can get to the business of relaxing! We can have a cook come in who can definitely open your taste buds with some of the most delicious local dishes ( this at an additional fee). Ask us about this service if you are interested. 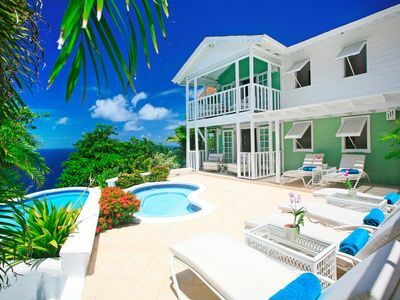 Each villa can accommodate 4 people comfortably. 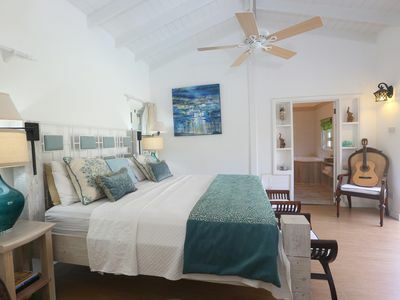 However, one of the lower villas has a sofa bed and can accommodate a party of up to five people. 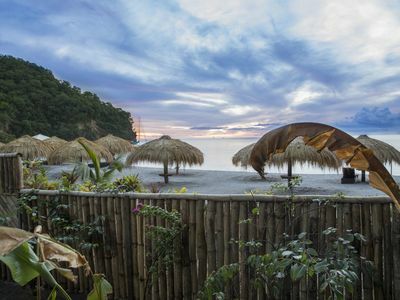 The rates for the lower villas begin at $160.00US per night for 2 people. 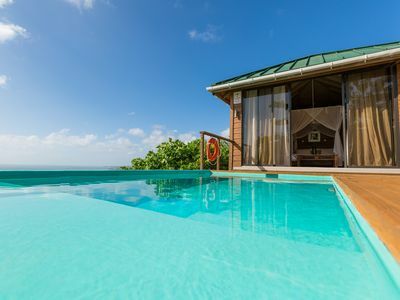 (the lower villas have a partial view of the ocean and have direct access to the pool) The upper villa rates begin at $200.00US per night for the first 2 people. 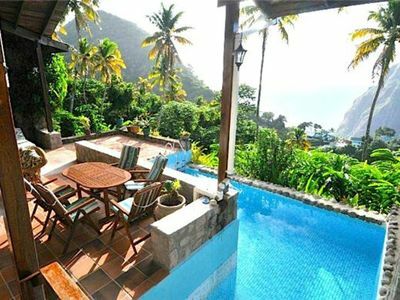 ( The upper villas have the best ocean views as they are higher above the ground). Please contact us to verify pricing and availability. Let us know which villa/villas you are interested in booking. 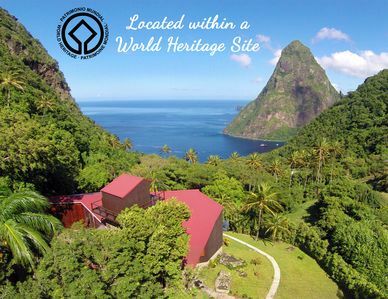 Groups are welcome as we are able to offer a group rate. WELCOME ARC SAILING FAMILIES/ Ocean Front Villa on 3 Acres - 50' Pool - 410 ft. Stunning Retreat With Sea & Golf Views!